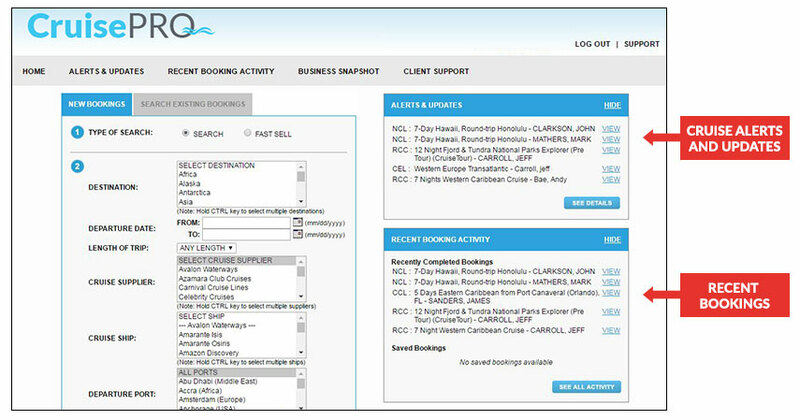 CruisePRO, our award-winning proprietary cruise booking system, allows agents to compare voyages from up to five cruise lines side-by-side, while empowering you to easily search, sell, book and manage their cruise vacations – all in one system. Maximize efficiencies through our fully-integrated customer relationship management (CRM) system, AgentMate, which is designed to manage nearly every component of a Travel Agency’s business, from your back-office system to lead management. Travel Leaders Group’s proprietary hotel booking tool, pinSight, displays more than a million properties, combining preferred, wholesale and OTA rates into a single booking platform that allows agents to save time and earn more whether booking GDS or online. Travel Leaders Network offers a choice of corporate travel booking tools designed for business travelers so that you can find the best fit for your agency, as well as your clients. We are pleased to extend administration and support of these products to our agencies. This allows you to concentrate on account management and growing your business travel services. Moreover, we offer a suite of marketing templates for your use including presentations and RFPs.